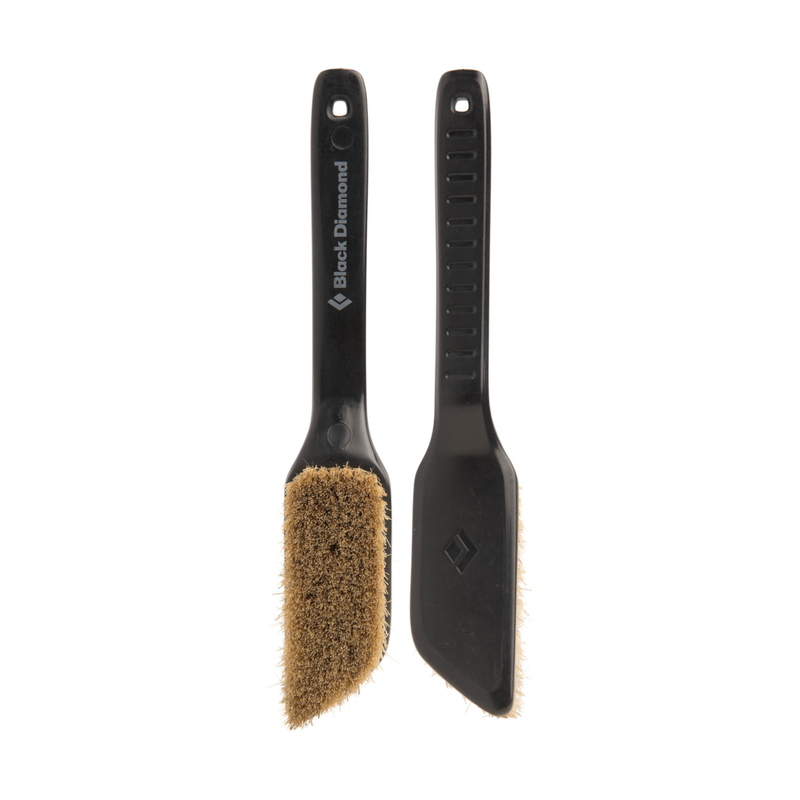 The Black Diamond Boars’ Hair bouldering brush features an innovative tapered head and bristles. This brush reaches those tight constrictions, transforming those greasy crimps into positive holds. The ergonomic handle also allows for nice hand clearance while brushing down the project. Available in Black, Blue, Grey, Green and Red subject to availability.